With interest rates remaining extremely low for the past several years, you might wish to consider opening a certificate of deposit account to increase the yield you get on your money. Certificates of deposit, commonly referred to as “CDs,” are money market savings products that offer enhanced yield in exchange for you committing to leave your funds on deposit for an extended period with your bank or credit union. The annual percentage yield (APY) refers to the effective annual interest rate that your money will earn after taking compounding into consideration. It’s higher to encourage you to leave your money on deposit for an extended period, rather than having constant access to your money as you do in a savings account. A CD, sometimes called a share certificate at credit unions, should offer you a higher APY than a savings account. Finding a high APY is important because it means your money will grow faster. When shopping around, it is important to make sure you are considering comparable rates and terms. You also need to factor in other costs, such as minimum deposit requirements and membership fees . Overall, CDs are a great way to increase the interest you earn on your money, but understanding to details of these products is an important first step. CDs are a particularly effective way to grow your savings because of both their higher APY and the lock-up nature of these instruments. By requiring you to leave your money on deposit for a set period — or face early withdrawal penalties — you are given built in discipline to save for college, a home improvement project or some other large purchase. The higher interest rate means you will earn more than with a traditional savings account. By defining your CD’s purpose, you will be better able to choose a CD that has the right features. For example, if your goal is to remodel your home in one year, selecting CDs with maturity dates well beyond a year will expose you to early withdrawal fees. While the higher yields on longer-term CDs might net you more return, being able to match your goals and the features of the instrument is an important step. As with any product, it is important to compare the APY, maturities, early withdrawal fees and any other requirements from the banks and credit unions you are looking at. Once you have the details, you can consider the most effective way to approach your savings goals. For example, if you are using CDs to save for college or for some other event that is many years away, you might want to consider using a CD ladder. A CD ladder is built by buying CDs of different maturities so that you can regularly access part of your portfolio as cash. 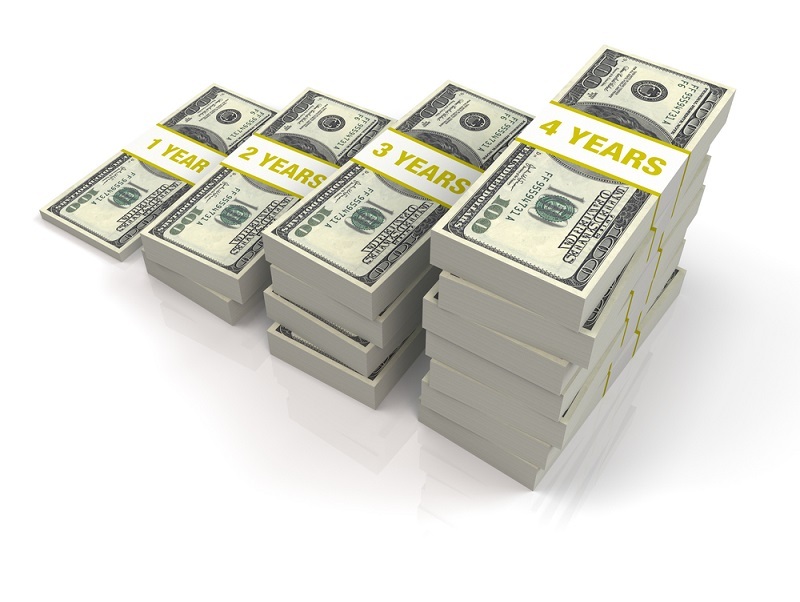 This allows you to take advantage of higher APYs available on longer CDs, while giving you the opportunity to reinvest some of your money if rates rise. Since many economists expect rates to rise, although mildly, through 2015 and into 2016, a ladder can be quite effective. You should also consider bump-up or bump rate CDs, which allow you to increase the rate after six months of opening the account, if a higher rate becomes available. In return for the flexibility, the APY is typically lower for the 12- and 18-month bump rate CDs than for the standard CD yield. Once you have narrowed your search to a few institutions, you should call or visit to ensure the rates you found online are still available. Once this step has been completed, you will likely need to fill out your final choice’s paperwork and arrange to have money deposited. That can mean depositing cash, writing a check or sending a wire, but once the bank or credit union has your money, your CD account should be ready to go. Using a CD is great way to enhance the yield on your money and save for the future. Using the steps above should help you meet some of your financial goals. What Should I Do With $50,000 Coming Out of a CD Account?